Photographer Andrea Dailey caught Monty Montgomery during a break as he was completing “Eastern Rays,” a 45 x 14-foot mural in the lobby of the Bedford Art Building at Longwood University in Farmville, Virginia. Much love to my parents Steve and Dianne Montgomery for structuring my path and believing in me everyday! Thank you so much to Carlese Jackson, Ginna Cullen, and Becky Massie for instructing me all of those years through my artistic youth. To Randy Edmonson and Homer Springer, my Longwood years just wouldn’t have been the same without you! All of you brought ART into my life and I am forever thankful. 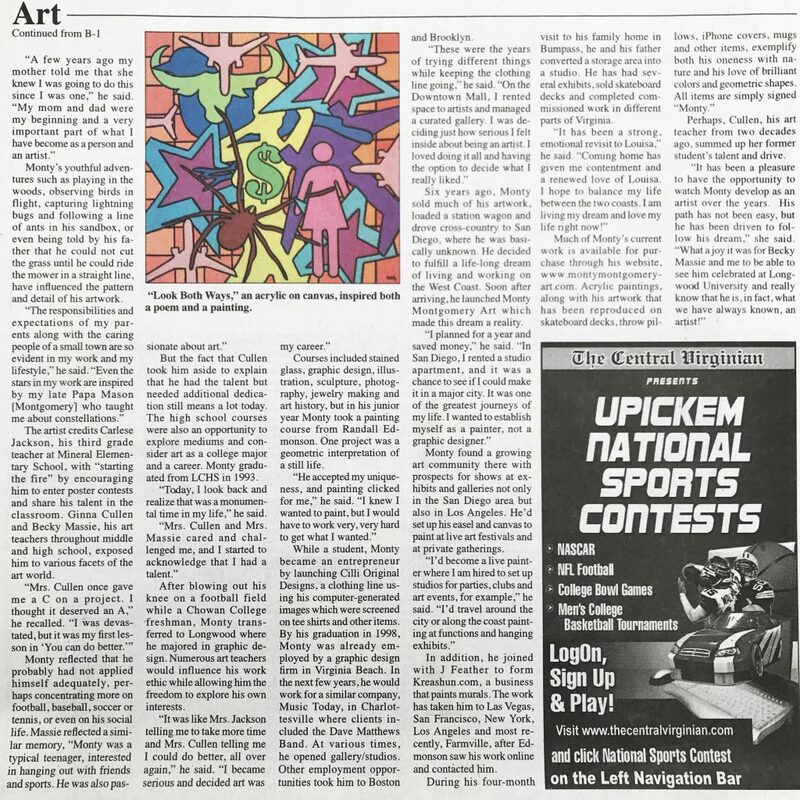 Thanks to Pat Wilson and everyone at the Central Virginian for the feature article on the “Eastern Rays” mural in Bedford Hall at Longwood University and for sharing my creative journey.